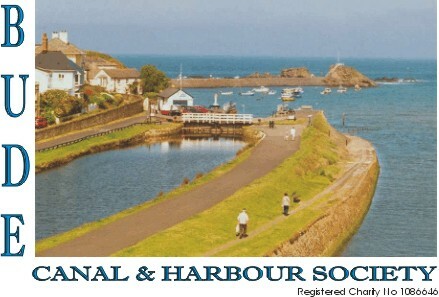 Welcome to the official site for the Bude Canal and Harbour Society. Bude Canal will commemorate 200 years in July 2019. A special booklet has been produced and is available for a £1 donation - bargain. Details soon or speak to a trustee. The Bi-Centenary website is live. Not finished as we shall be adding more information and photographs throughout 2019 but it's time to explore. Saturday 1st June This year, for our annual outing, we have arranged a coach trip to Totnes with time to explore the town and have lunch before boarding the boat at the Steamer Quay for a trip on the River Dart to Dartmouth. We will have about 2½ hours in Dartmouth which will be time for refreshments and to explore the town before boarding our coach for Bude. Tuesday 23rd July Commemorative Buffet with entertainment at The Falcon Hotel, Bude to celebrate the exact anniversary of the start of work on constructing the Bude Canal. The 23rd July 2019 is the anniversary day of the bicentenary of the start of construction of the Canal in 1819. To mark this important event BCHS, with Bude Canal Trust, have organised an evening of celebration with a buffet and musical entertainment at the Falcon Hotel, Bude. There will be presentations of commemorative plaques to Bude Stratton Town Council and Holsworthy Town Council, by BCHS and BCT respectively, to mark this anniversary. This event is pre-bookable via a booking form enclosed in this issue of the Tub Boat. The cost is £22 per person. The event is from 7pm to 11.30pm with the buffet being served at 8pm. It is smart casual dress. The cut off date for booking is 2nd July 2019. Entertainment will be provided by ‘Cousin Jack’ and ‘Friggin Riggin’. If you wish to come to this event please complete a booking form and return with your remittance to 4a The Crescent, Bude, EX 23 8LE by 2nd July 2019. Bookings will be confirmed by the issue of tickets of 1 per person. 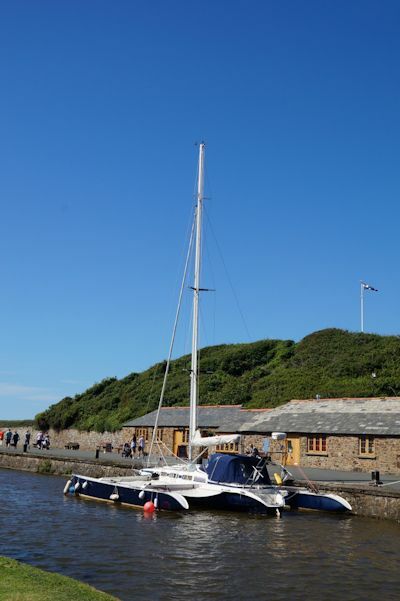 Please make cheques payable to Bude Canal and Harbour Society. Please note cheques will not be presented until the week before the event ie 16th July 2019. ----------- If the Bude Canal plays a part in your life through, work, leisure or a simple appreciation of this important heritage feature constructed 200 years ago, it would be good if you came to this event to celebrate the 200th anniversary. Hope to see you there! Saturday 14 September Guided walk along the Bude Aqueduct section - Lower Tamar Lake and on through to Cornwall on the Permissive Path. - adapted from article in revised Bude Canal Past and Present as below. Chris Jewell has been out photographing the Canal Regeneration from day one . During much of the regeneration period the Canal towpaths, locks and features have been closed to the public. Now you can see how the wonderful regeneration took place - There are well over 400 photos and we have now completely redone the album - THE ALBUM IS FULLY RESPONSIVE AND EASY ON TABLETS AND PHONES in readiness for our new site coming soon. We also think it is more attractive to view,. Remember the photos are copyrighted to Chris so don't abuse his hard work - feel free to email comments. The Updated Reprint of "BUDE CANAL - PAST AND PRESENT"
"Hon Treasurer", Chris Jewell at 4A The Crescent, Bude, Cornwall EX23 8LE. "The Bude Canal - some interesting facts". with eight delightfully reproduced maps together with introduction and full surveyor's notes for each map. Special thanks to The National Lottery, Awards for All and Bude-Stratton Town Council - among others - for making this possible. We now have 30 issues of The Tub Boat available on this site, together with all photos - just follow the link above - makes very interesting reading! In fact all Tub Boat issues since the Spring of 2003 are available to download from this site! ** We now provid e the newsletters and some booking forms, posters etc in pdf format for ease of printing. If you do not have the brilliant Adobe Reader - please click here to download this first.